Eyebrow Products. What's the best to use for my brows? What works best? Hey Guys, I had a beauty question from someone this morning that I thought I'd answer for you all. It depends on the brows you have. Usually I look at a persons brows to determine what would be best for them to enhance the shape they already have. If you have thick brows that already have a lot of hairs and you just want to shape them, an eye brow mascara is best because it just shapes them and keeps them in place. If you have brows that are lighter than your hair color but you have a lot of hairs, tinting them may be the best option just to get them darker and to stand out more and still look natural and closer to your hair color. This way you also wouldn't have to fuss with them each morning. You will have to go in periodically to get them re-tinted as the tint wears off. If you have brows that are sparse in areas but still have their shape, a brow eyeshadow with an angle brush often works best to still make them look natural and just give them some more fullness. **You absolutely can use regular eye shadow for this. It does NOT have to be a specific brow shadow. Always use a shade that looks way too light for your brows , they come across much darker when they are applied. Also, if the shade has too much orange or warm hues in it , it tends to look really orange on the brows, so go for a cooler brown shade. If you have brows that are definitely missing areas and you need a more unified looking brow, I would say use a pencil. I LOVE the eyebrow pencils that twist up from MAC they are the best. They are SUPER thin and I use that in my brows almost every day. I like my brows to really stand out. 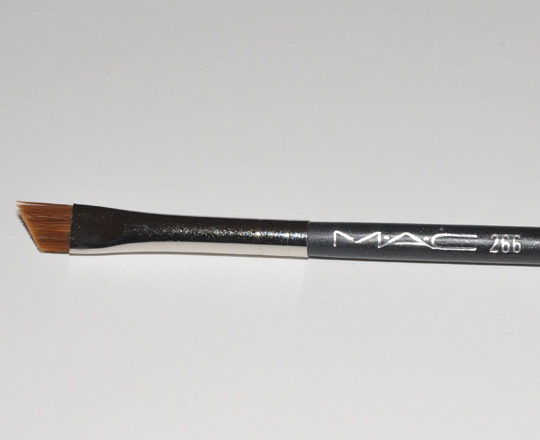 You can use the pencil really lightly or do more dramatic strokes to get a more defined brow. I've also learned that a more defined brow can also give your face more contoured.